The Fresh KDS SDK allows for the integration between Fresh KDS and external systems using a univeral and defined format. Before KDS can accept data from an integration a few basic setup steps are needed. Contact Austin Fabel at Fresh Technology to discuss your integration and next steps. Contact Fresh Technology and request access to our demo environment. Side load the supplied version of Fresh KDS on your iPad or Android tablet. Login using the credentials setup in the Demo environment. Once your integration is complete. 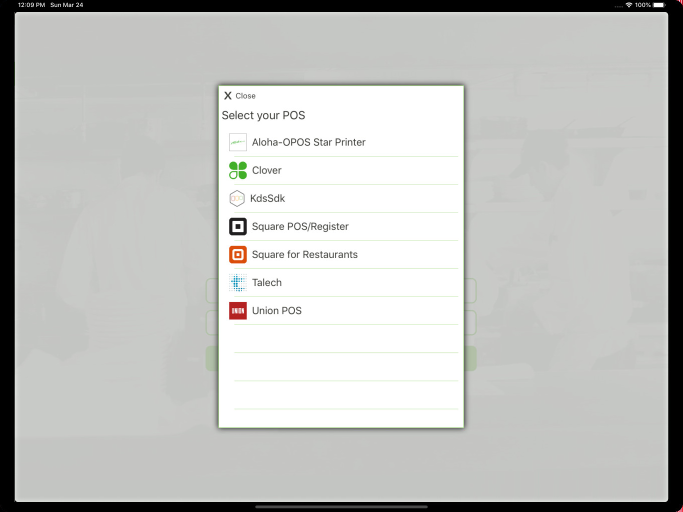 Contact Fresh Technology and supply a logo for the POS Integration listing. After review of your integration, Fresh Technology will add your integration as an offically supported integration and your product will be added to the list within KDS. To discover Fresh KDS Screens using Fresh Sdk, listen for UDP Broadcasts on port 28000. Each screen sends a broadcast containing the Device Identifier, IP Address, and SDK version every 15 seconds.